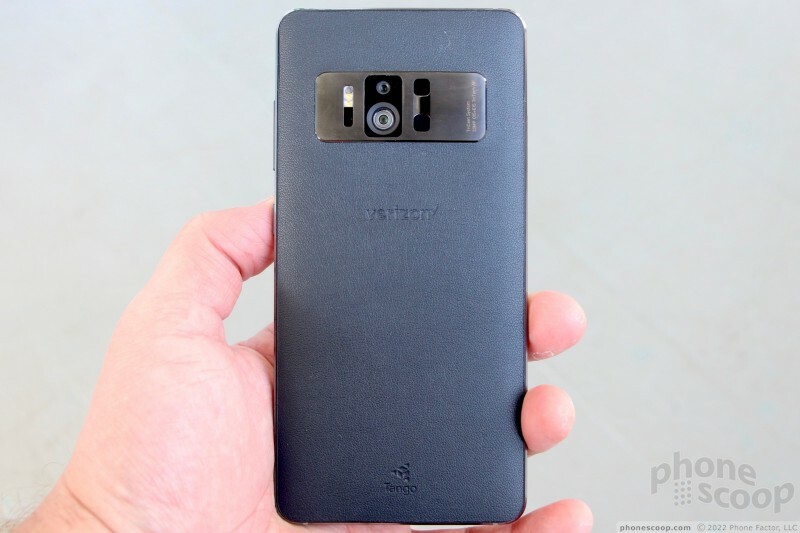 The Zenfone AR from Asus is the first to support Google's Project Tango augmented reality and Daydream virtual reality platforms. This ultra-real Android smartphone lets you visualize what furniture might look like in your living room, or escape your living room altogether in favor of worlds unknown. 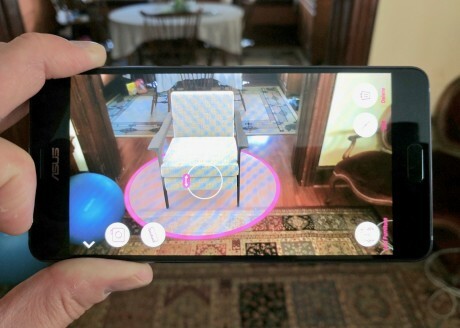 With entertainment options galore, you might think the Zenfone AR skimps out on other features, but that's not the case. This well-rounded handset nearly has it all. 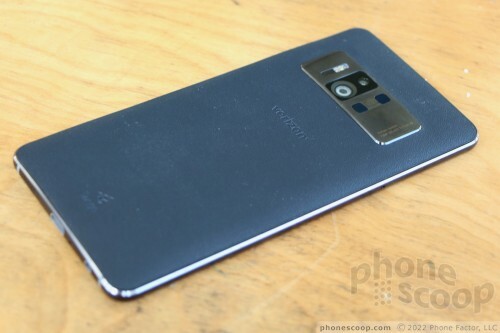 Here is Phone Scoop's in-depth report. With support for Project Tango and Daydream, the Asus Zenfone AR is for augmented reality and virtual reality enthusiasts. If you long to escape the real world to explore new and virtual environments, the Zenfone AR is the tool you need. 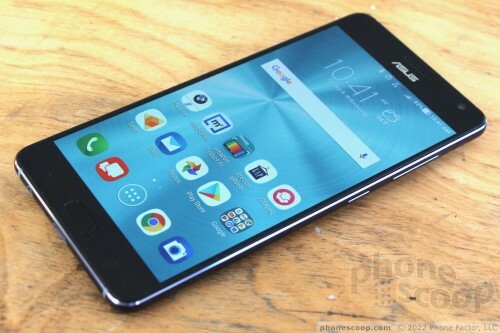 The Asus Zenfone AR is the first smartphone to include Google's Project Tango augmented reality platform and Google's Daydream virtual reality platform out of the box. 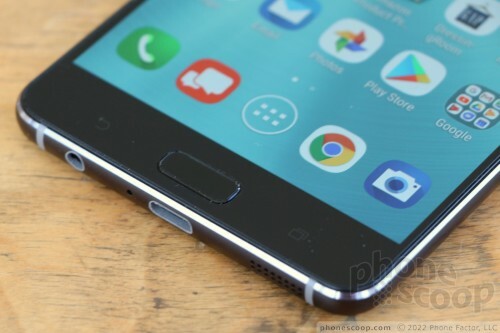 Both platforms have some hardware requirements in order to function properly, though it's Project Tango that we can thank for the Zenfone AR's unique design. 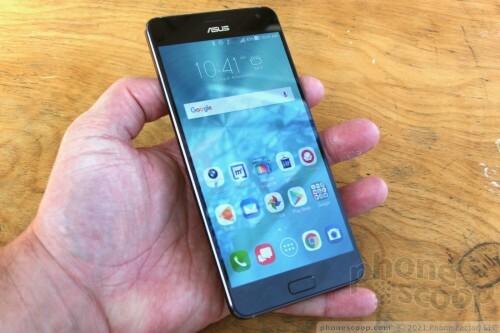 When the Zenfone AR is sitting face up on a table or desk, it looks like just about any plain Android handset. A huge piece of glass covers the entire front surface. The glass fits into a dark gray frame made of aluminum. The frame has chamfers that help define the shape and give the Zenfone AR some visual pop. I like that the side edges are rounded a bit. 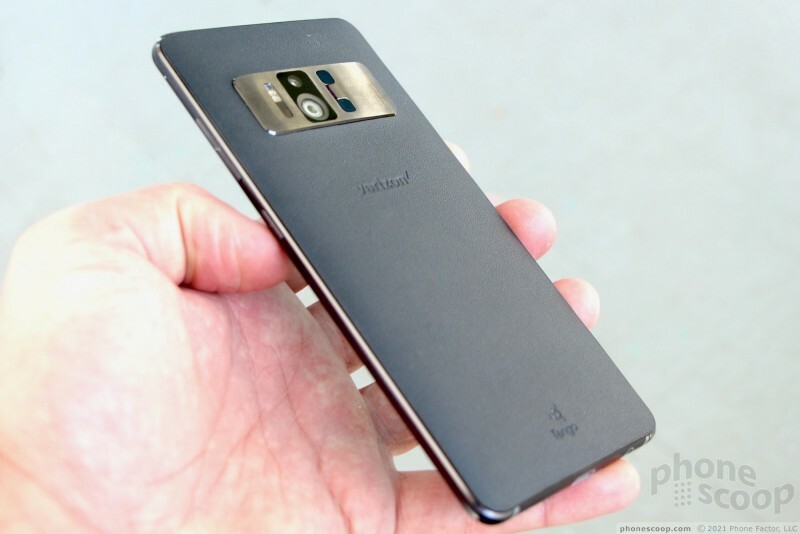 Asus opted for a leather-type skin for the rear surface, rather than metal or glass. It's black and has a matte finish. 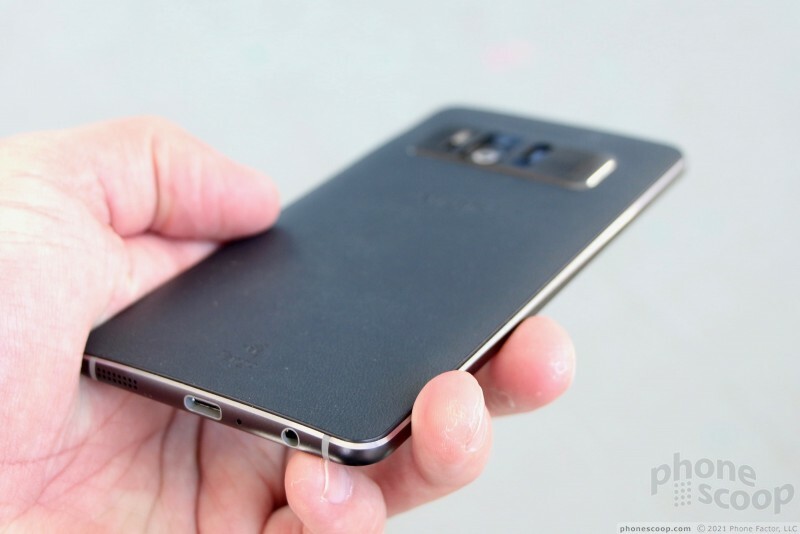 I'd call it soft to the touch, and it certainly lends some grip to the phone. The camera and sensor array is an enormous module that looks like it was assimilated from the Borg. 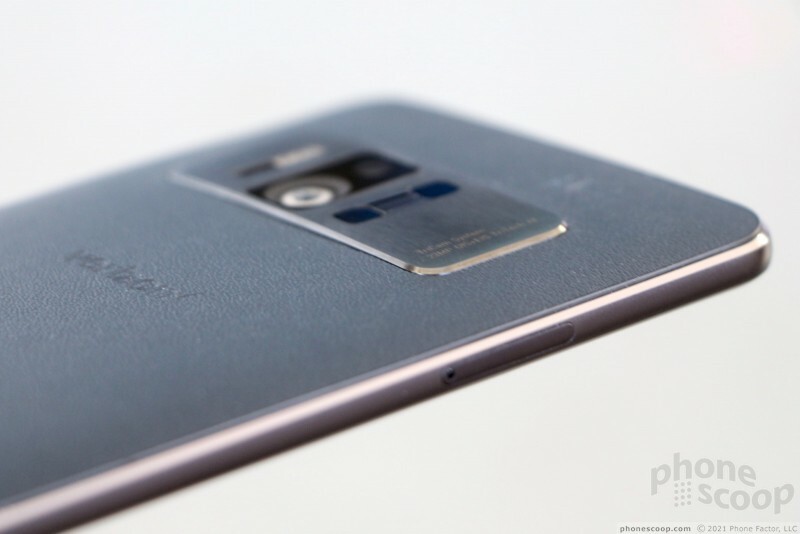 It stands out because it's so different from the majority of smartphone cameras. 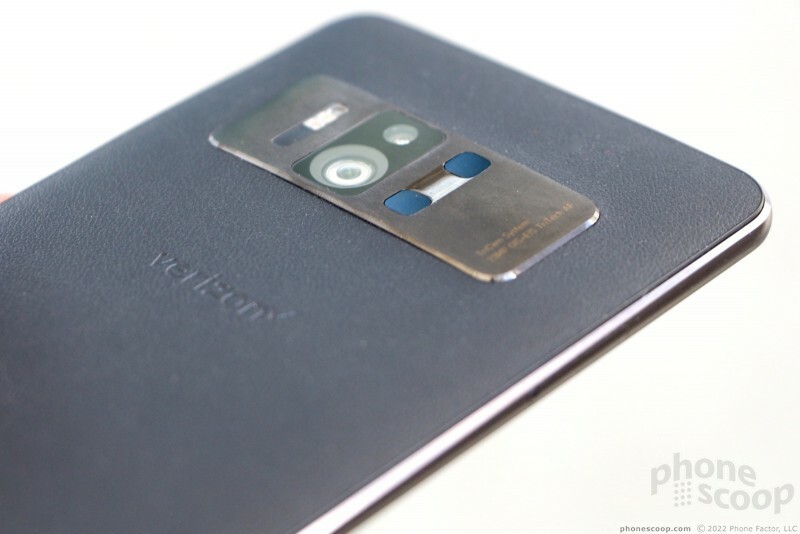 The camera/sensor array gives the phone an industrial, 23rd Century look. The Zenfone AR is a really big piece of hardware. It's larger than an iPhone 7 Plus or Pixel XL, and is about equal to a Huawei Mate 9. It's shorter than the Samsung Note8, but somewhat wider. It stands a ridiculous 6.24 inches tall and measures more than 3 inches wide. These dimensions make it difficult to use one-handed. The majority of people who encounter the Zenfone AR will need both mitts to make the most of it. 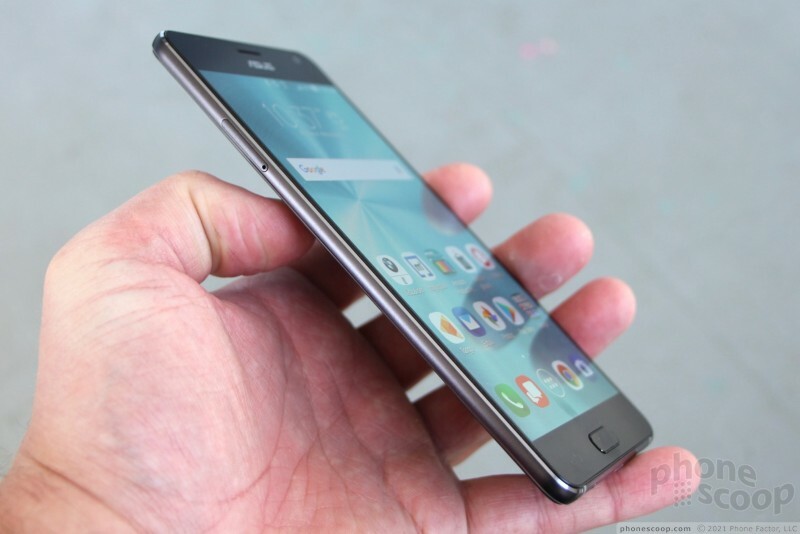 The good news is that the phone isn't too heavy, and is even almost slim at 7.6mm thick. It's not the easiest handset to cram into your jeans, but the rounded back and corners go a long way. 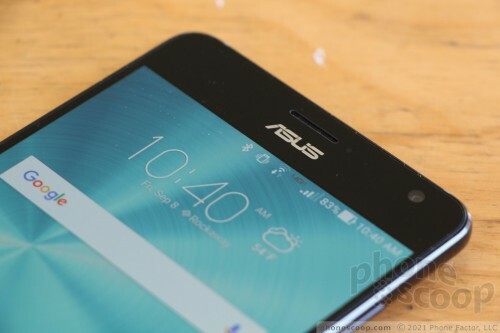 Asus selected decent materials for this handset. The glass face and metal frame definitely give me confidence in the strength and durability of the phone, and the pieces fit together well. I'm not 100% sold on the way Asus treated the rear panel. I dig leather, there's no question there, though I worry it will scuff, scratch, or tear. The leather is set into a plastic frame and that assembly is then set into the larger metal chassis. The seam between the plastic and metal pieces creates a ridge, and it's a bit sharp and uncomfortable. 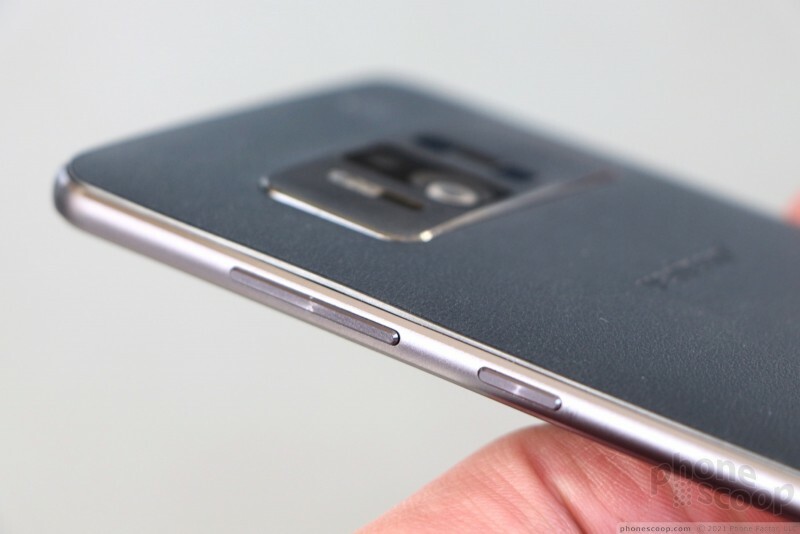 It would be worse were the rear panel not tapered toward the edges. 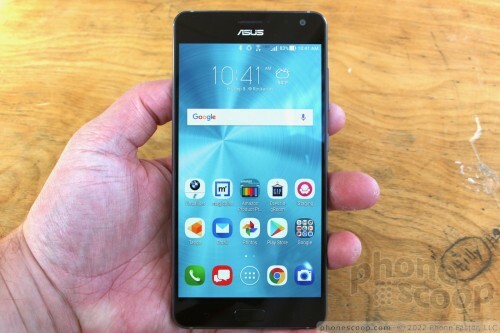 Annoying, iPhone-like bezels mar the Zenfone AR's face. The chin and forehead above and below the screen are probably an inch thick each, and there are even some black bars running down the side edges. Bleh. The Asus logo, painted on in chrome, begs you to look at it. 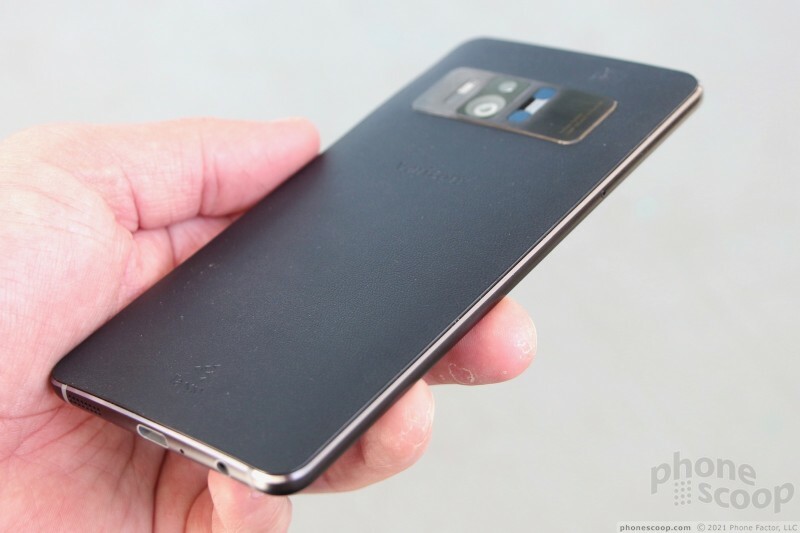 The user-facing camera and sensor array are mostly invisible. 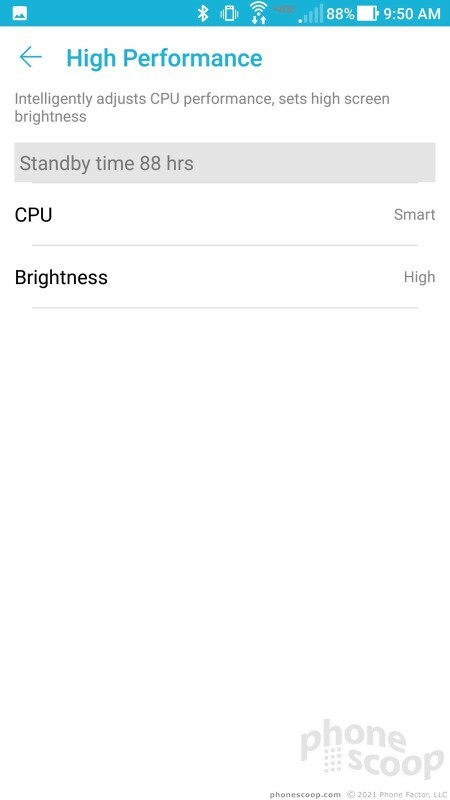 The Zenfone AR does rely on hardware controls. 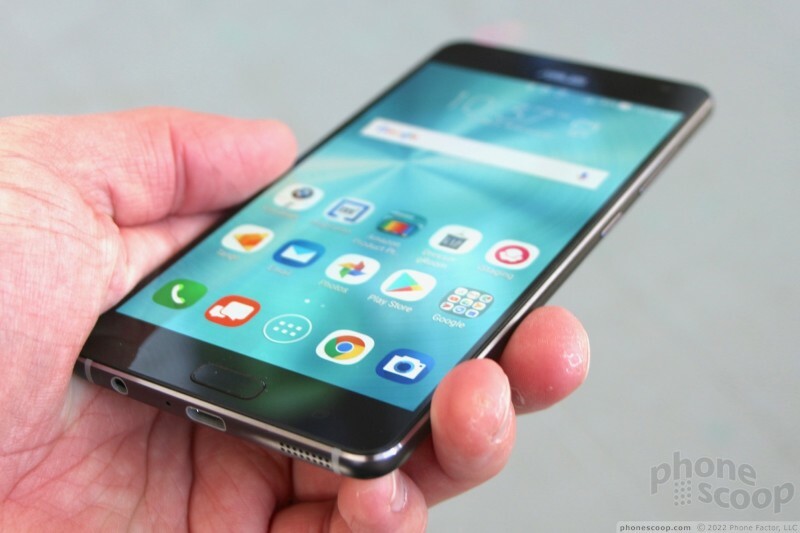 It has a physical home button that doubles as a fingerprint reader. The button is raised a bit, which helps your thumb locate it; travel and feedback are great. 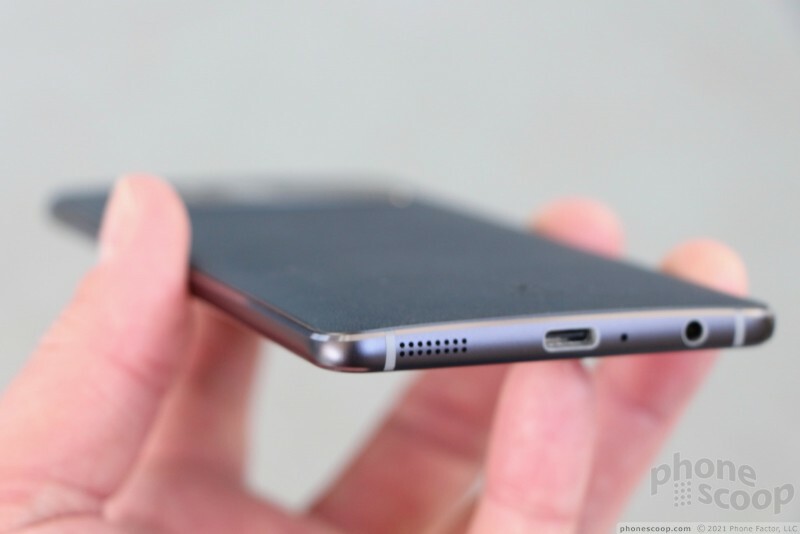 It's flanked by two capacitive buttons, for back and the app-switcher. The buttons are under the glass and can be hard to find without looking. The metal chassis is perfectly smooth along the left edge, save for the small SIM/memory card tray. You'll find the lock button and volume toggle on the phone's right side. The buttons both have a fine ridged texture that I like. The screen lock button is the lower of the two. It's helpful that the volume toggle is more than twice as long as the screen lock key. Both deliver good travel and feedback. 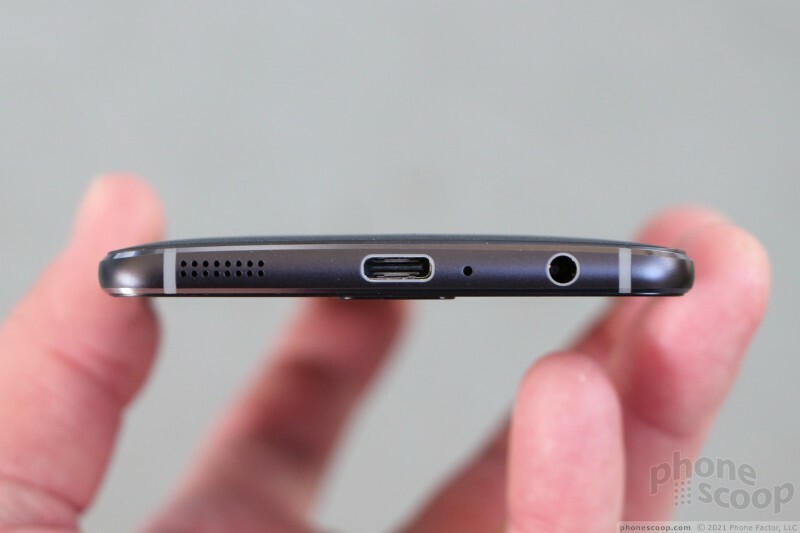 Asus packed the lower edge with the USB-C port, headphone jack, microphone, and speakerphone. It's a busy place! 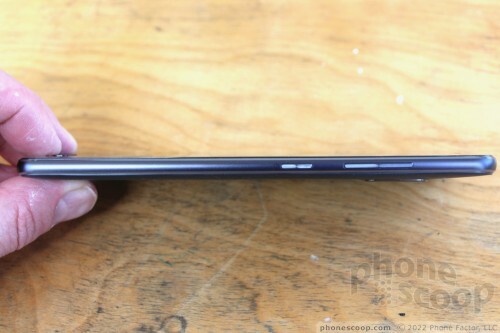 I like the curved shape of the Zenfone AR's rear panel. Of course Verizon's logo is stamped into the leather surface. The camera module is just ridiculous. It's a thick metal rectangle and looks like it belongs on the bridge of a spaceship. Two camera lenses are plainly visible within the module, with one nearly 5x the size of the other. To their left you'll see a focusing array and triple-LED flash module, while to the right you'll spot twin infrared sensors. These are all necessary for full Project Tango functionality. It's a shame Asus couldn't find a more attractive arrangement. As you might expect these days, the rear panel is firmly affixed to the chassis and cannot be removed. Users do not have access to the internal battery. The Zenfone AR is not waterproof, nor is it rugged. Asus designed an oddly jarring phone in the Zenfone AR. It's downright boring on the front, and yet industrial science fiction on the back with a hint of rock and roll. I don't know if these elements necessarily work when wrapped up together, but at least the hardware works well. Augmented and virtual reality both benefit from high-resolution displays and Asus dialed in the right set of specs with the Zenfone AR's screen. It measures 5.7 inches across the diagonal with the standard 16:9 aspect ratio, and packs quad HD (2,560 by 1,440 pixels) resolution. Daydream requires an AMOLED display, and that's what you'll find lighting the pixels of the Zenfone AR. It's a really pretty screen. 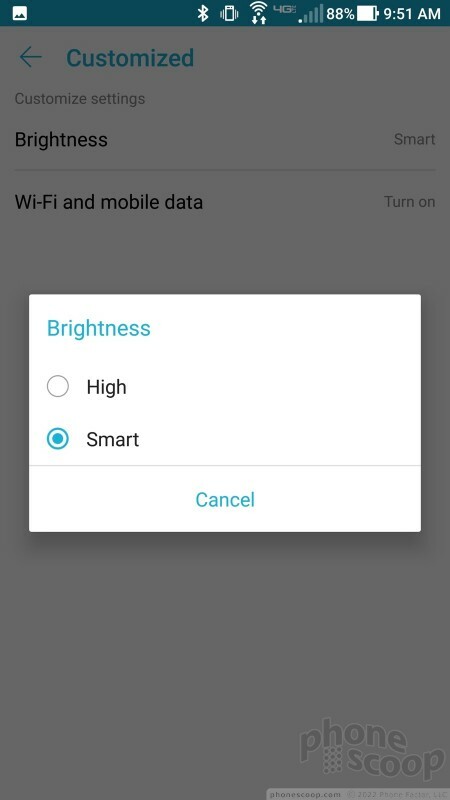 Text, pictures, and icons on the screen are completely smooth along the edges, and the display pushes out plenty of brightness for easy visibility both indoors and out. Colors border a bit on the cool side. Viewing angles are outstanding. You can opt to turn on glove mode, too, when using the phone outdoors in cold weather. It's a fine display, and works well when put to use for AR/VR. The Zenfone AR is sold in the U.S. by Verizon Wireless. During my time with the phone it remained on 4G LTE most of the time, though in some weak coverage areas it dropped to 3G on occasion. It never dropped Big Red's network completely, and was always able to patch a call through. The phone had no trouble maintaining a call over 20 miles of highway driving. Data speeds were very good, though short of the best I've seen. The Zenfone AR technically supports Cat 14 LTE, which should put it among the fastest as far as specs are concerned. What you need to know is that the data radio handled streaming HD content from Netflix and YouTube with no problem. I was mostly pleased with the Zenfone AR as a voice phone. The earpiece delivered warm vocal tones to my ear at volumes that were good enough to overcome normal home of office noise. I had more difficulty hearing people through the Zenfone AR when taking calls on city streets or in coffee shops, but cranking the volume generally helped, and with minimal distortion. If you opt to turn on Verizon's Advanced Calling service — which pushes HD Voice calls via VoLTE — you'll be rewarded with incredibly clear calls as long as both you and your callee are on Verizon's LTE network. The speakerphone worked very well. Clarity was excellent and the small, bottom-mounted speaker is easy to hear as long as you aim it at your head. Cranking the volume introduced a small amount of distortion, but not enough to prevent you from understanding calls. You can use the speakerphone in a moving car and noisy office if you need to. Ringers and alerts always got my attention. In fact, the phone sports an "outdoor" speaker mode for ringers, alarms, and music for use when you're outside. Flipping this switch puts the ringtones into overdrive and makes the loud enough to lance your eardrum. The vibrate alert, on the other hand, is pathetically weak. If you use the Zenfone AR as you would any regular old smartphone, it will get you through a full day without issue. If you use the AR or VR features, battery life is measured in mere hours. 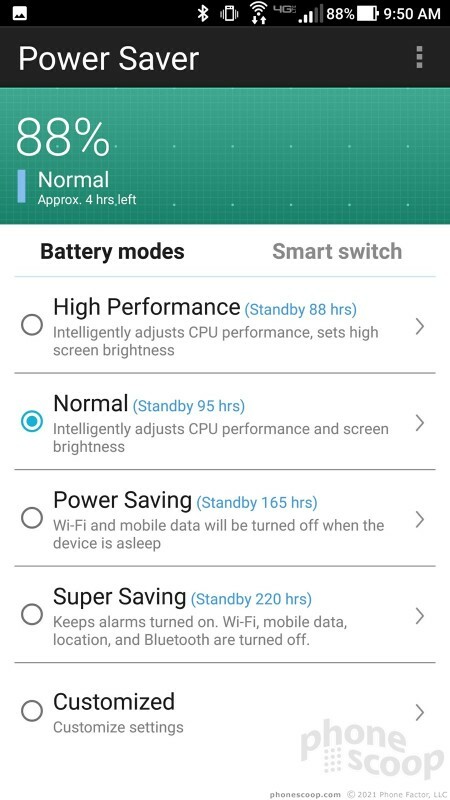 I found over the course of a week of testing that the Zenfone AR easily managed to push from breakfast to bedtime on a single charge. 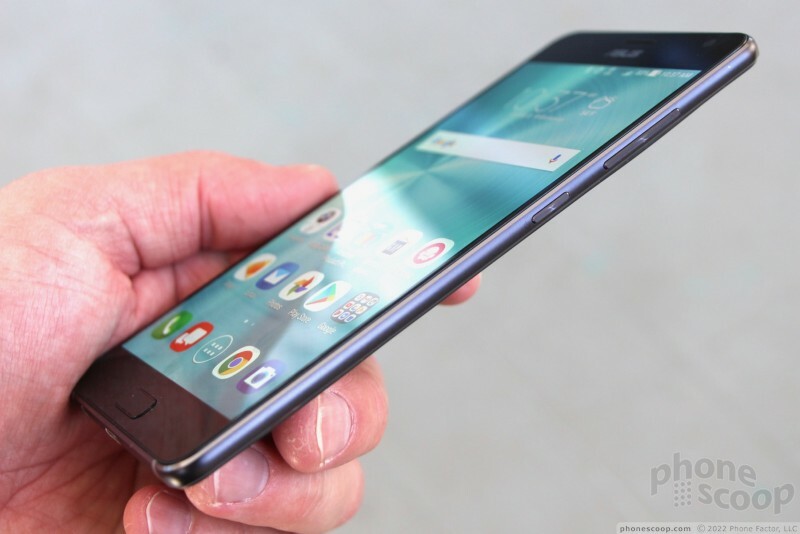 The phone packs a 3,300 mAh battery. It does well under normal conditions. The battery will drain a bit more rapidly if you mix in some media streaming and picture taking, but that's fairly normal. Augmented reality and virtual reality are both screen- and processor-intensive activities. Your Zenfone AR's processor will kick into high gear when you dip your toes into virtual worlds, making it hot and draining the battery. 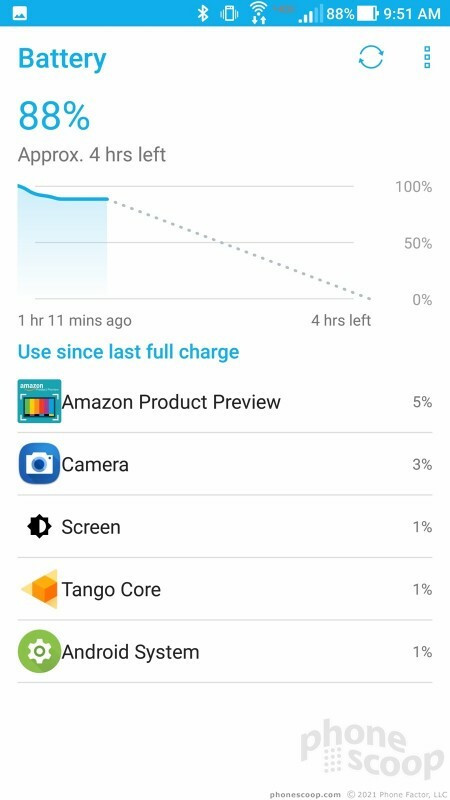 I saw the battery drop by about 50% in less than an hour when using Daydream. Plan accordingly. Some good news: The phone supports rapid charging via Qualcomm's Quick Charge 3.0. This means you can enjoy some AR/VR and restore your depleted battery in short order. Last but not least, the Zenfone AR supports a wide variety of power-saving modes. There are five options, including four presets and one customizable tool. You can dial in high performance for the ultimate in VR behavior, or dial it way back to extend battery life as long as possible. 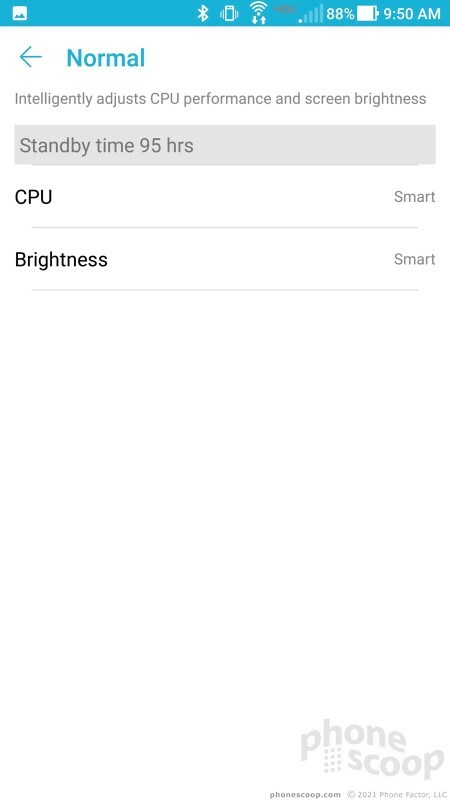 The default mode is "normal" and that is what I used when testing the phone. I didn't run into any issues using the Zenfone AR's secondary radios. Bluetooth, for example, paired and connected with a variety of devices including phones, PCs, speakers, and headsets. Phone calls sent through my car's hands-free system were just average, but calls via Bluetooth headphones sounded very good. Music pushed to a pair of Bluetooth headphones wasn't quite as vibrant as I would have liked. The NFC radio made pairing with some accessories a snap, and the Zenfone AR supports Android Pay if you care to use it. 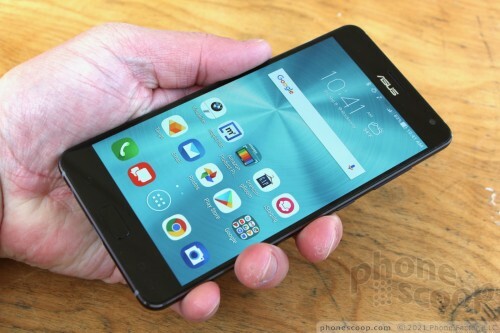 As a navigation tool, the Zenfone AR performed as well as any other phone on the market. The GPS radio pinpointed me quickly and to within about 25 feet most of the time. It coordinated with Google Maps and worked fine when put to use for voice-guided, point-to-point directions. The Zenfone AR's WiFi radio did its job. 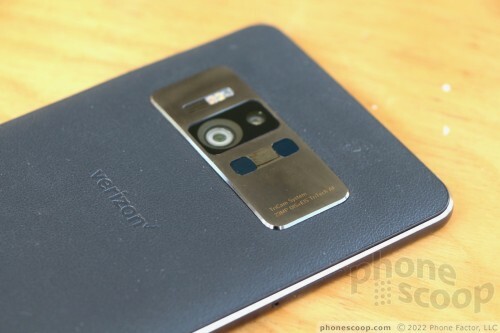 Verizon Wireless will be the first U.S. carrier to offer a Project Tango smartphone to its customers.